If you find someone who makes you smile, who checks up on you often to see if you’re okay. Who watches out on you and wants the best for you. Who loves and respects you. Don’t let them go. 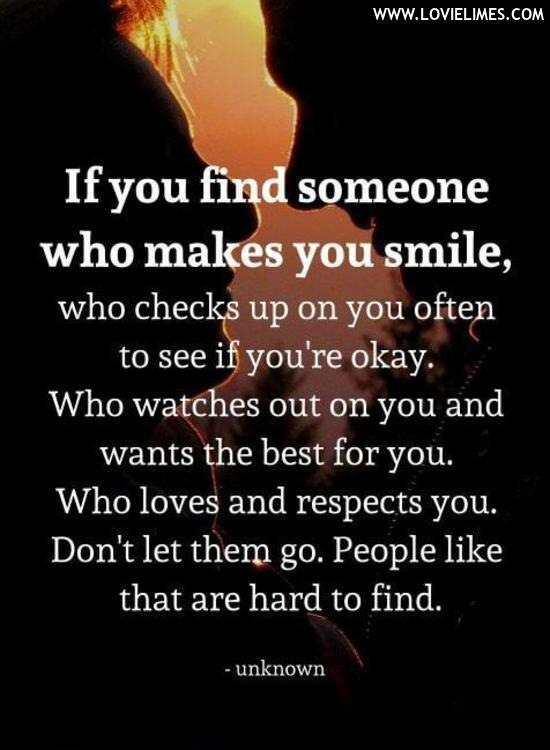 People like that are hard to find.